Hey guys, thanks for checking in. My week has been great. I have been productive all week long and kept my nutrition on track very tightly. I have cruised through my post-loss blues and I must say, on this Friday night, there is not a hint of lingering heartache from my recent defeat. On Monday and tuesday for the NY Open training camp, I had the pleasure of being able to fight with many of the top teams from overseas. 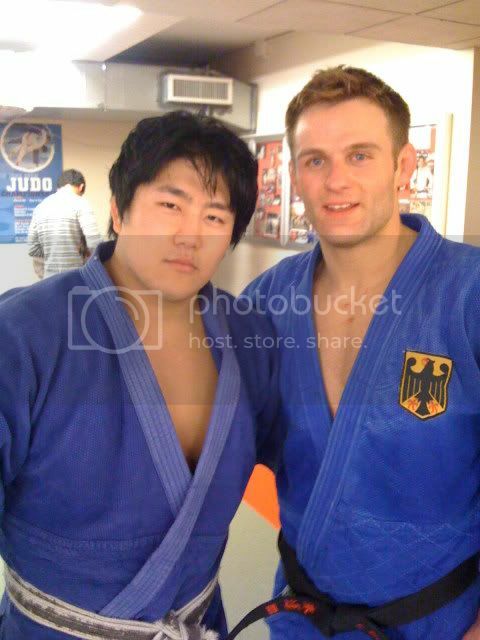 Amongst them, the stand outs were the Japanese team, Mr.Konno (2x All-Japan Champ, Japanese team coach), the Olympic Gold Medalist Ole Bichoff and the NY Open Champion from my weight class, Bjork Bachman (Germany). I must say I was very impressed with their skill. I was humbled to the floor with their Judo knowledge and their Physical prowess. The best way to explain how I felt Monday and Tuesday is through a quote I read recently on the Subway. 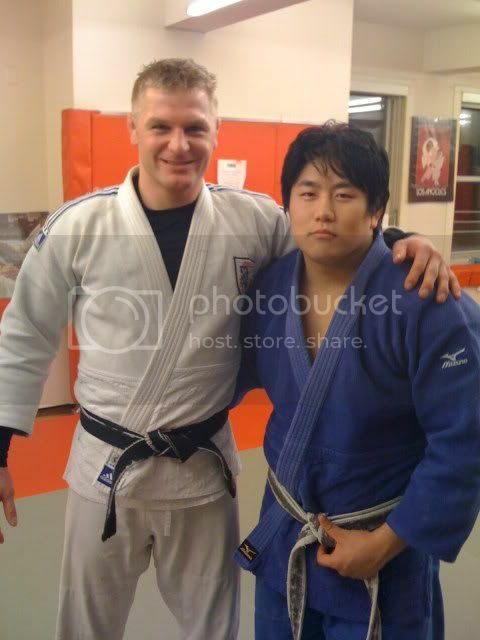 I've learned so much Judo between my loss to Scott Edwards and the two days of training with these guys. I need to sharpen my tools and get bigger, stronger and faster. 2009 National Champion!